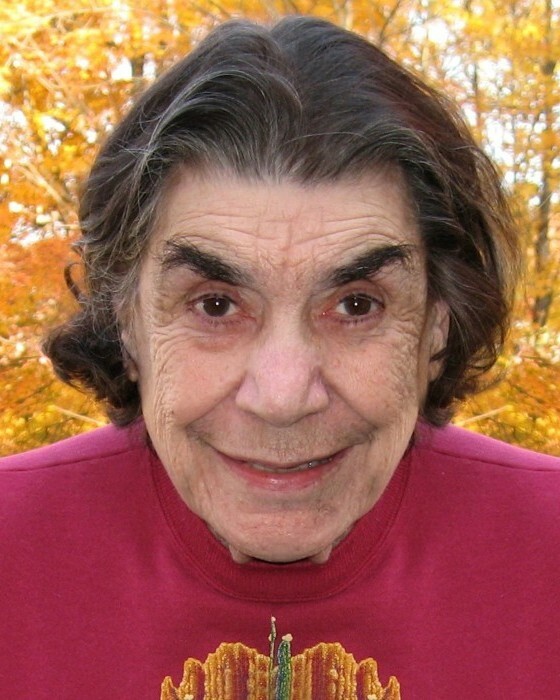 Concetta “Connie” Margaret Pape, 90, of Norwalk, CT (Autumn Lake) and formerly of Stratford, CT, beloved wife of the late Louis A. Pape, Sr. passed away at Norwalk Hospital in Norwalk, CT on January 19, 2019. Connie was born on May 8, 1928 in the Bronx, New York to the late Joseph and Anna Amato Lieto. Connie leaves her daughter, Maria (Ron) Pirro of Stratford, CT and her son, Louis A. Pape, Jr. of Norwalk, CT; six grandchildren; four great-grandchildren; sister-in-law, Felicia Perna; daughter-in-law, Jane Pape; and son-in-law, Morgan Adams. She is also survived by many nieces and nephews. She is predeceased by her son, Ralph Anthony Pape and her daughter, JoAnne Adams. She was also predeceased by her five siblings: Marie (Dan), Don (Barbara), Joseph (Gloria), Leon and Barney (Helen). Connie graduated early from Jane Addams High School in the Bronx, New York in 1945, chose not to go to college, but immediately went to work as a seamstress in a large fashion house in Manhattan. She worked full-time until the birth of her firstborn in 1954. She excelled at her craft and was always so proud of the fact that she made Mamie Eisenhower’s 1953 inaugural ballgown which is now on display at the National Museum of American History at Smithsonian Institution in Washington, DC. Connie devoted much of her adult life to volunteering for the Girl Scouts. In the 22 years with the Girl Scouts, she served in various roles from troop leader to serving on the Board of Directors for the Girl Scout Council for 10 years. She left this role to join her husband in a move to Arizona after Lou took early retirement. Connie loved the 18 years they were able to spend there relaxing, gardening, traveling, entertaining visitors and volunteering at the Church and community food bank. They returned to the East Coast in 2003 to be closer to and spend more time with family. The nucleus of Connie’s world was her family and she was so selfless in her devotion to it. She lovingly called all of her nieces, nephews and grandchildren “angel” making each one feel the name was reserved especially for them. She loved her family and truly felt the children were little angels. She enjoyed reading, puzzles and spending time with her family. We will dearly miss her, but know she is home with our Lord. Funeral Services are being privately held at the Cody-White Funeral Home, 107 Broad Street, Milford, CT. If desired, in lieu of flowers, memorial contributions may be made in memory of Connie to COPD Foundation (copdfoundation.org) or American Lung Association (lung.org). Condolences, memories and/or photos can be posted to Connie’s Tribute Wall.